John Morris Scientific have introduced Li-Cor's new Greenhouse Gas Analyser (GHG) Packages. 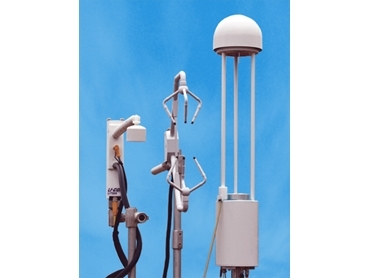 The “GHG” provides simultaneous in-situ methane, carbon dioxide, and water vapour data for eddy covariance applications and atmospheric flux monitoring. Li-Cor have produced two packages, including their proven LI-7500A open path or LI-7200 closed path CO2 and H2O Greenhouse Gas analysers, coupled with the new LI-7700 CH4 analyser, and optional sonic anemometer. These two packages are designed for low power applications in remote areas, and can easily be powered from a solar panel and deep cycle battery. The “GHG-1” open path package features the Li-Cor open path CO2, and H2O analyser, that does not require any pumps or filters etc. The closed path “GHG-2” package is suitable for environments with frequent rain, snow or fog, and includes the closed path CO2, and H2O analysers and low power flow module.